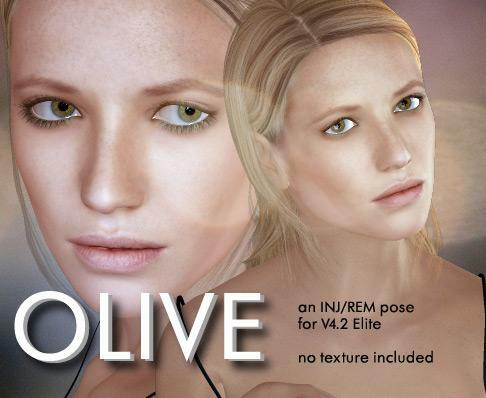 Inspired by a tv series character, Olive is a strong woman for your renders. No texture included! Unzip to your poser poses folder and enjoy. Wow! Quite a likeness! Good job! I new immediately who she is. Most of the morphs that are supposed to look like characters fall slightly short. This is spot on! love that! !..pls tell me which texture you used here? Timmoth (9 years ago) Inappropriate? Kaiyrea (9 years ago) Inappropriate? Ariah81 (9 years ago) Inappropriate? It's perfect for making a face texture. Very nice morph--just the kind I like! No Barbie Doll here. I'm curious, though, what is the skinmat texture that you used above?